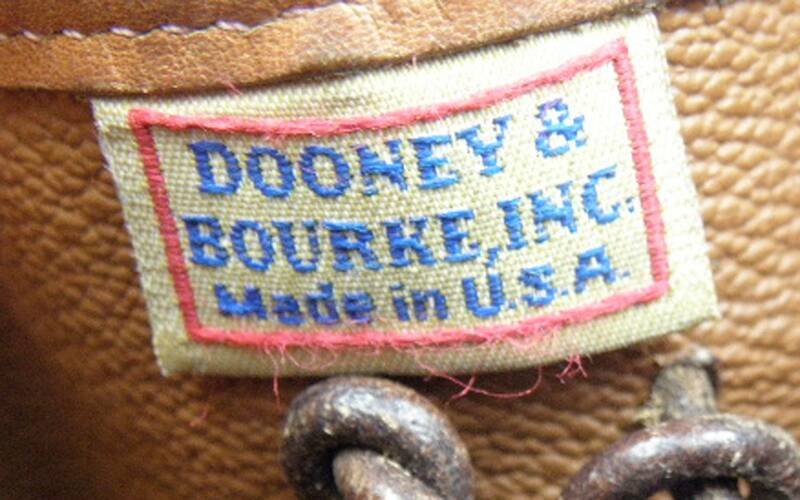 EXTRA LARGE fabulous Dooney & Bourke bag from the 1990's! Dooney fans...this bag is simply stunning. It would be great to take anywhere, especially with how versatile it is with either the long (adjustable) shoulder strap or remove and use as a handbag. 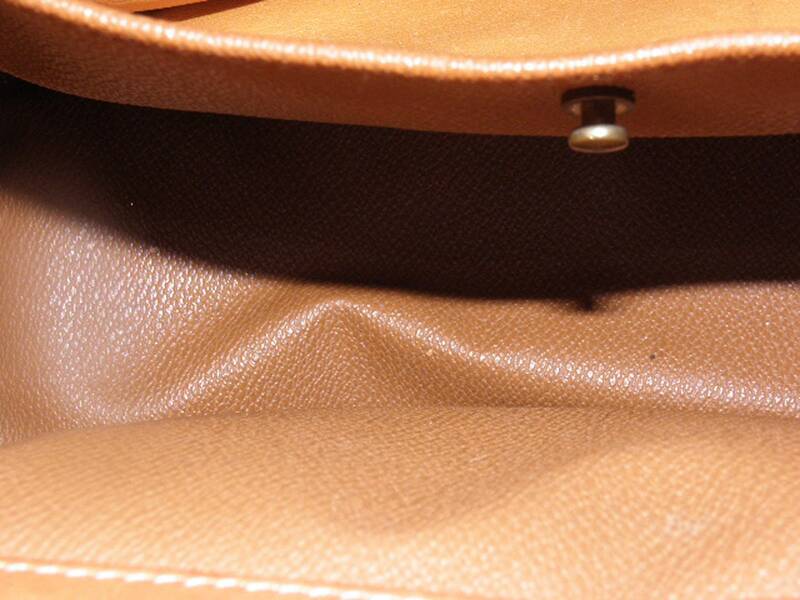 Very well made - this vintage bag has a lot of life left in it. 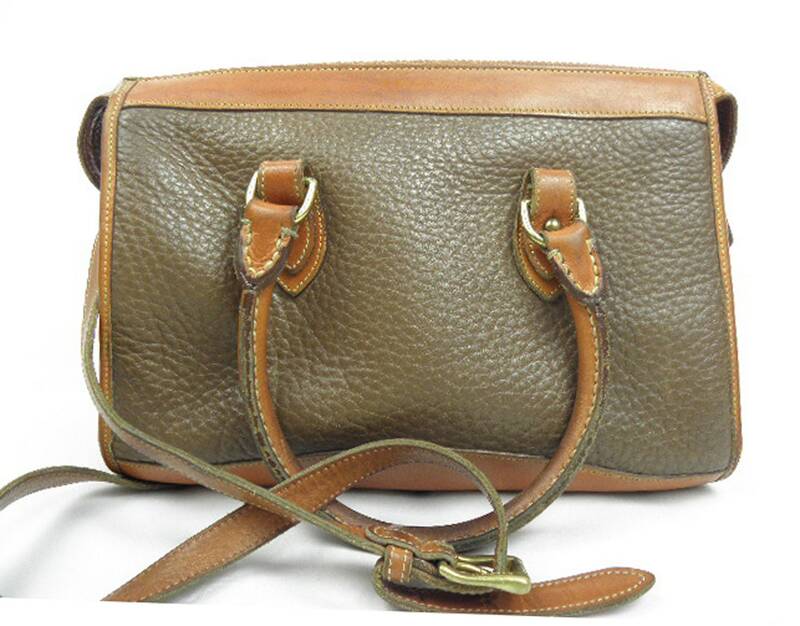 A gorgeous taupe pebbled leather with British tan trim - would go with many outfits. Brass hardware in very good condition. Nice and clean with no foul odors. Zipper top closure & inner zippered pocket (both zippers work fine). 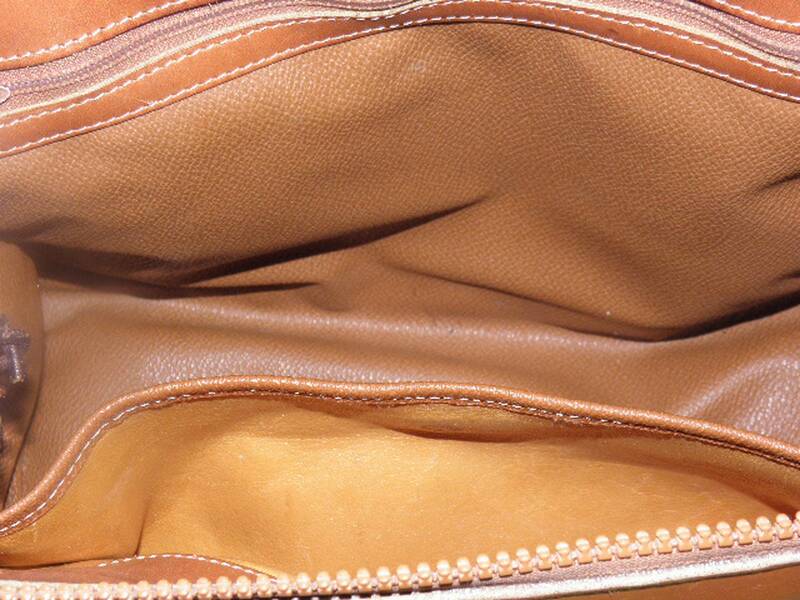 Another inner pocket give ever more organizing space. 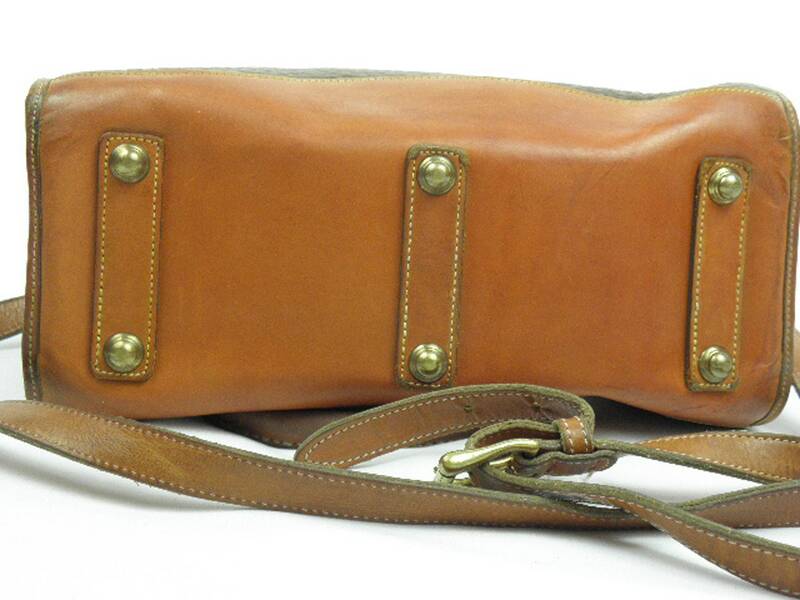 You won't find many vintage Dooney bags that are so nice! Measures 11" x 8" x 5". 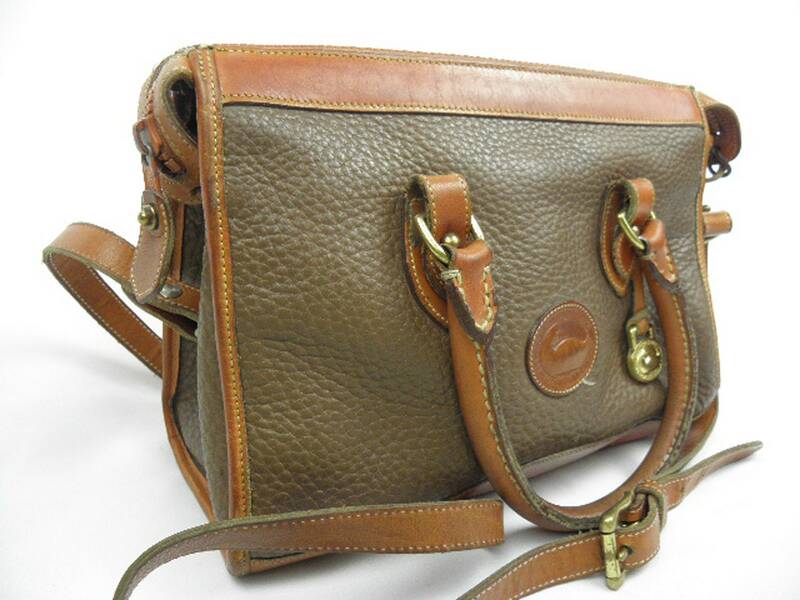 Buy now and own this super great 1990's EXTRA LARGE Dooney & Bourke bag!